For Independence Day this year, I was invited to attend the glamping trip of all glamping trips. A group of close families (50+ people total!) have been getting together for nearly thirty years for the ultimate camping weekend. The weekend consists of lavish food spreads, margaritas, sun bathing and even nightly entertainment known as “Skit Night”. 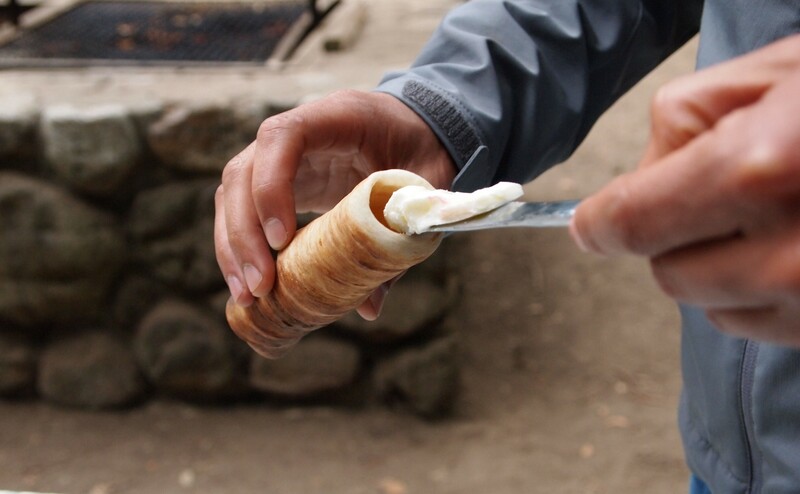 One of the best traditions that have emerged from this camping extravaganza is a phenomenon known as “bread-on-a-stick”. This genius concoction is simple to cook and oh-so-delicious. 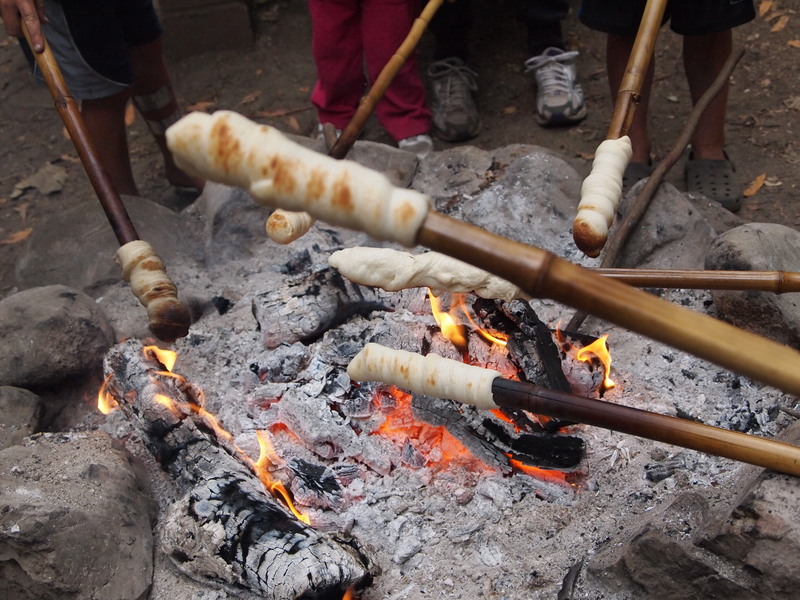 Simply wrap a Pillsbury Breadstick around a bamboo stick (or any long stick will do) and toast over the fire. Slow rotation ensures all sides are toasted to the perfect crisp. Once the bread is fully “baked”, it will slide right off. Here comes the best part: the fillings. Butter, jam, Nutella- stuff it all in to complete the perfect breakfast treat. Since the bread will be warm, everything will melt to a perfect gooey consistency. And then for the most important step- eat and enjoy! Whoa. How’d I not know about this ? !